The reread in a minimalist rationalism leads to a stylistic harmony made of delicately traced signs. 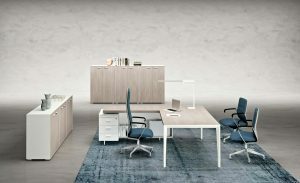 A collection of great aesthetic impact, where the wealth of the plans, the preciousness of the finishes and the accuracy of the work create a perfect synthesis between function and design, elegance and technology. Elements aggregates or independent to create managerial positions. The decor is defined by areas that promptly declare their value in use. 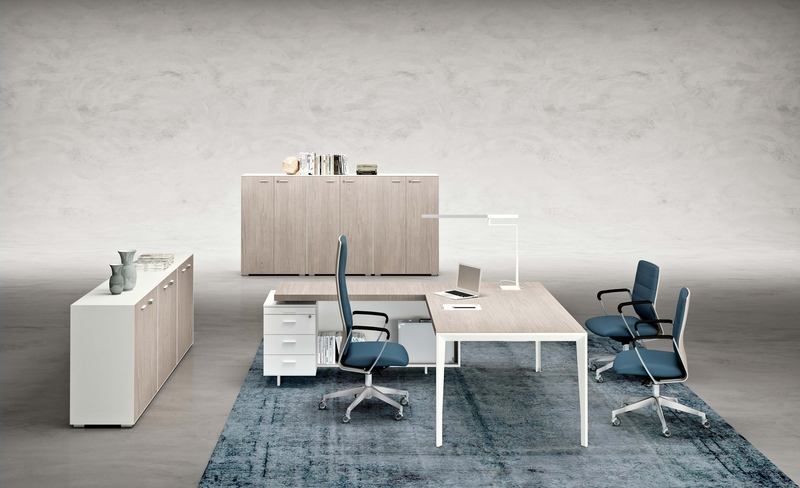 The spacious desk has mobile service functional furniture for a light efficiency. Great simplicity for a total operation and for the rational use of the various workstations solutions. The characteristic flexibility of types of accessories and supports, make it possible, even in small spaces, great efficiency. Every piece of furniture, every accessory, offering the maximum rigor, aesthetic pleasure, comfort and functionality. The great plan contributes to the definition of an environment that speaks of efficiency, status and communication. 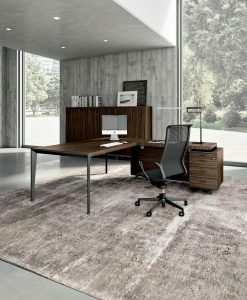 Noble materials and rich finishes – metal, leather, wood – set the boundaries of a project with a strong identity in the tradition of craftsmanship, communication skills and especially in the high-class product.